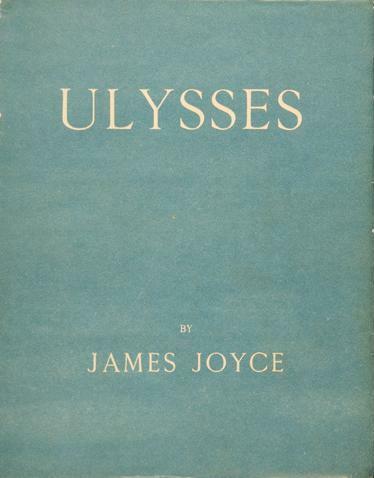 As many of you may know, Philadelphia’s Rosenbach Museum & Library participates in the annual, international celebration of James Joyce’s Ulysses known as Bloomsday , held on June 16, the day on which the novel’s protagonist Leopold Bloom made his “odyssey” through Dublin. Some of you may also use the social networking and “micro-blogging” website Twitter . For those of you who are fans of either or both, check out Booktwo’s Swotter -powered Twitter page , which is continually transmitting Joyce’s Ulysses in installments of 140 characters or less. Booktwo started the process in February of this year and anticipates finishing its transmission in November. Perhaps this photograph of the cover of a 1922 first edition would make a nice wallpaper on your cell phone? 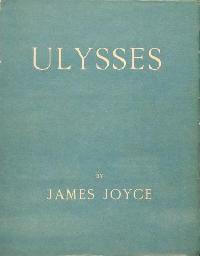 James Joyce is one of my favorite writer in . I admire his novel Portrait of the Artist as a Young Man. His concept of epiphany is amazing.